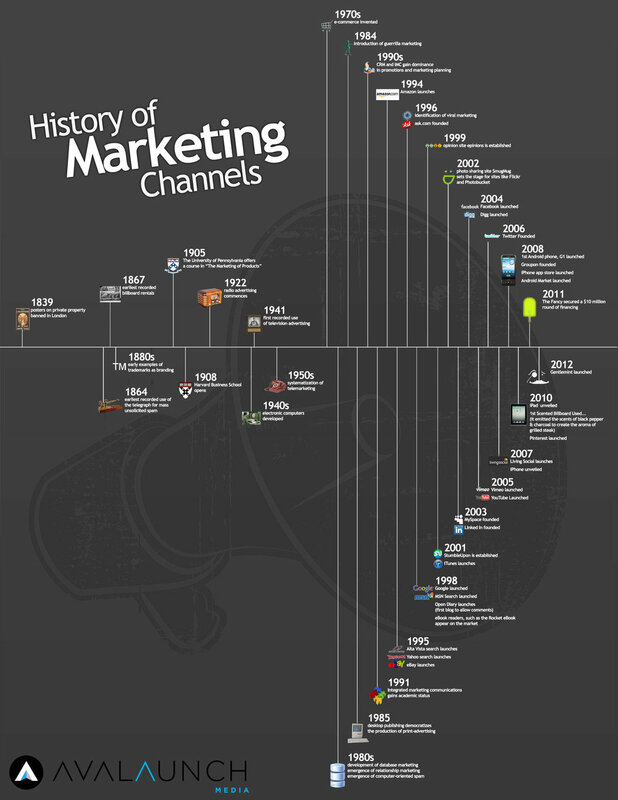 Short history lesson - how traditional, then digital marketing channels have evolved over time. This easy-to-digest infographic, developed by Avalaunch Media, presents an interesting comparison between the growth of digital marketing channels compared to traditional media. The advancement and growth of the digital marketing industry is fascinating. Since infographic does not have the user stats of each channel, I will add few for more color. Most digital marketing channels have launched in the past 10 years and are gaining momentum in increase in market share and reach. Traditional marketing channels (TV, Radio, Billboards, etc.) still exist today and will exist in the future. However, assuming digital channel growth will remain the same, digital marketing is the future. How long will it take for digital channels to displace traditional media out of the market? What is next after the digital marketing channels?